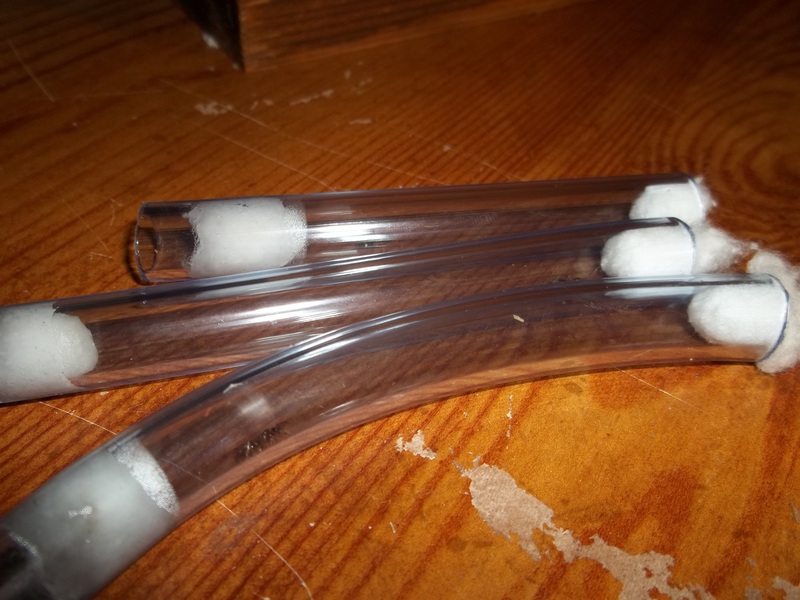 I am making this thread for all the ants I keep. I keep a lot of colonies, especially during the summer months. This one I released not too long ago after they kept escaping from unknown places. Currently I own the following. This is my camponotous Pennsylvanicus queen. Currently just larvae. I expect workers soon. 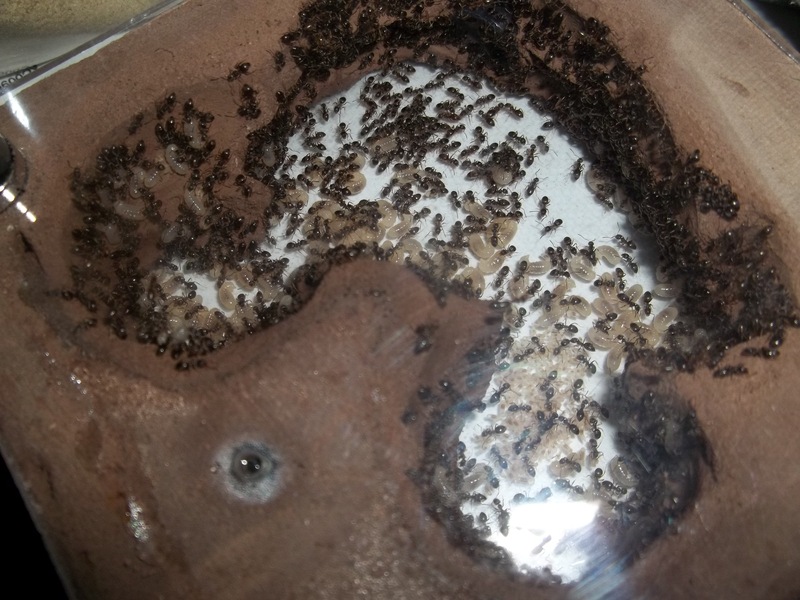 This is a colony of possible lasius alienus. I caught them under bark on a log. I caught the whole colony, and it was pretty easy as they were hibernating in a big ball. Anyway, I eventually got them into this nest I built. 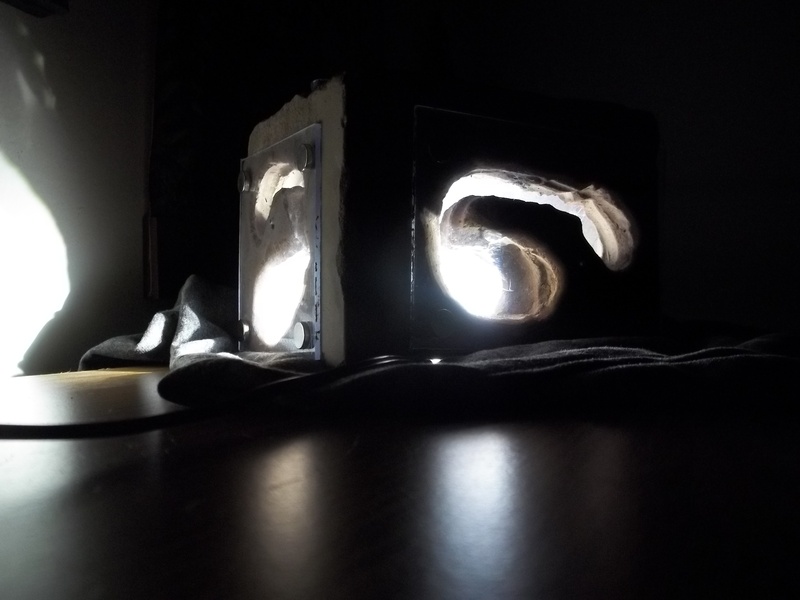 Here they are exploring their new outworld. A few started drinking some soda I had just gave them. 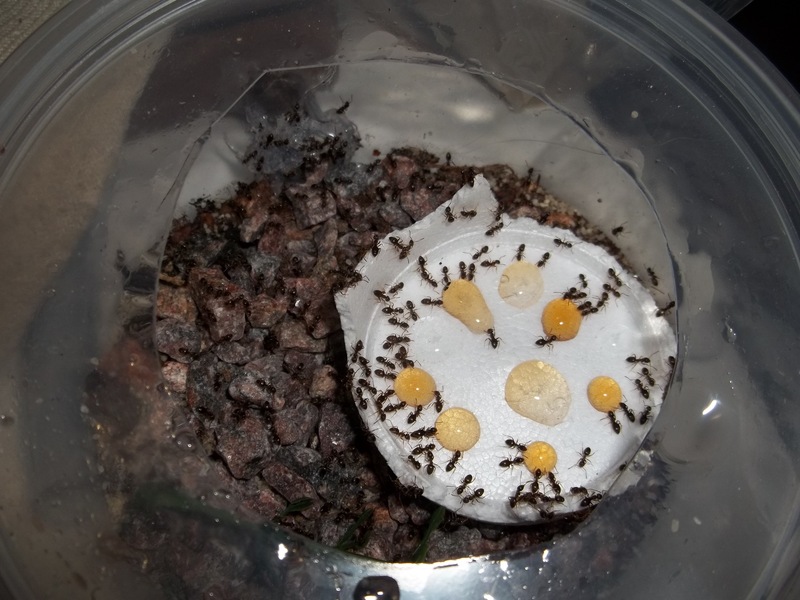 The lasius alienus colony I caught turned out to be unfortunately queenless. As the queen is the only one in the colony that reproduces, the colony would eventually die off. 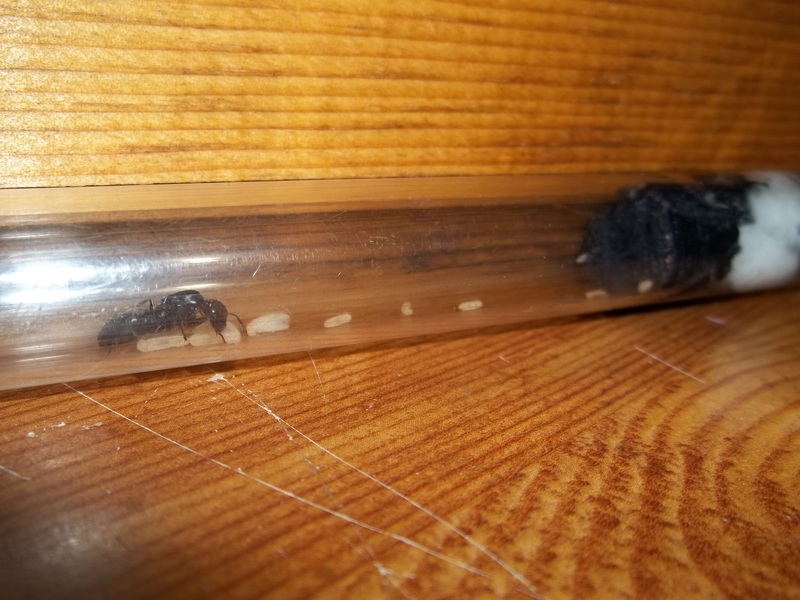 So I am going to try to introduce a lasius umbratus queen. 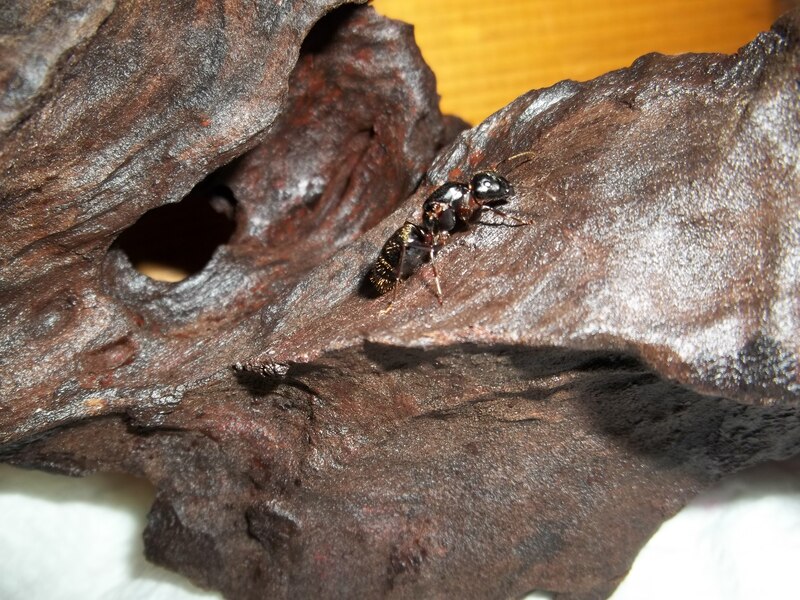 Lasius umbratus is a "parasitic" species. What this means is unlike, most other species the queen does not dig a founding chamber and lay eggs. Instead she actually tries to take over another colony. 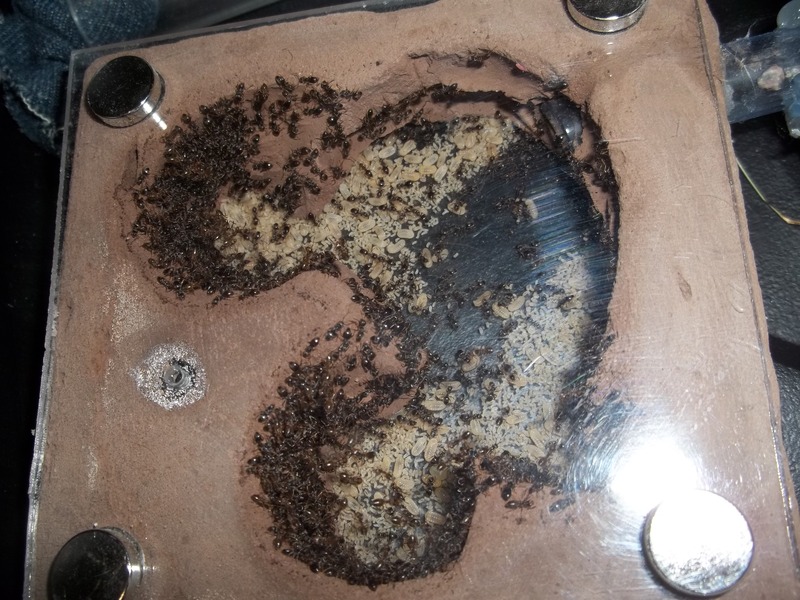 Commonly called a "host colony" Most cases it is even a different species such as lasius alienus The queen typically rushes into the colony, and attempts to kill the original queen. If successful, this "parasitic " queen gets the colonies scent from the fight with the lasius alienus queen on her own body. 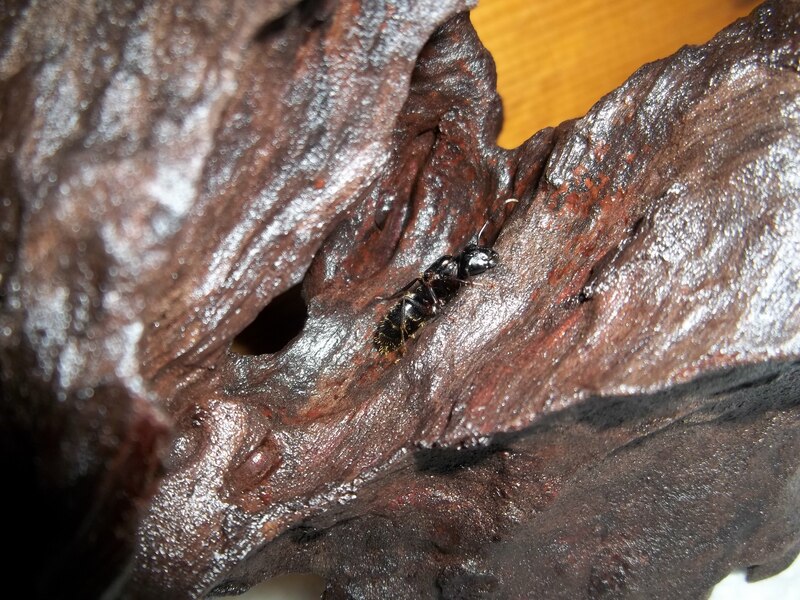 Now that she has the scent of the queen, and since colonies rely on scent to tell whether a ant is part of their colony, as far as they know this lasius umbratus queen has always been their queen. Here she is. Unfortunately trying to introduce parastatic species can be difficult because the workers are often able to kill the queen trying to take over before she can even find the original queen. Thanks. However, not a whole llot of luck. Both introductions were fails. 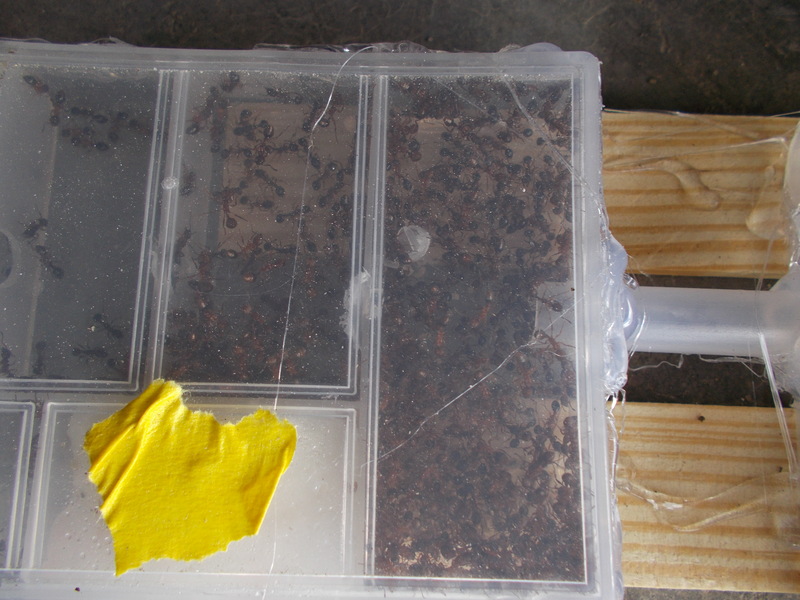 I am going to try another method once I find another lasius umbratus queen. 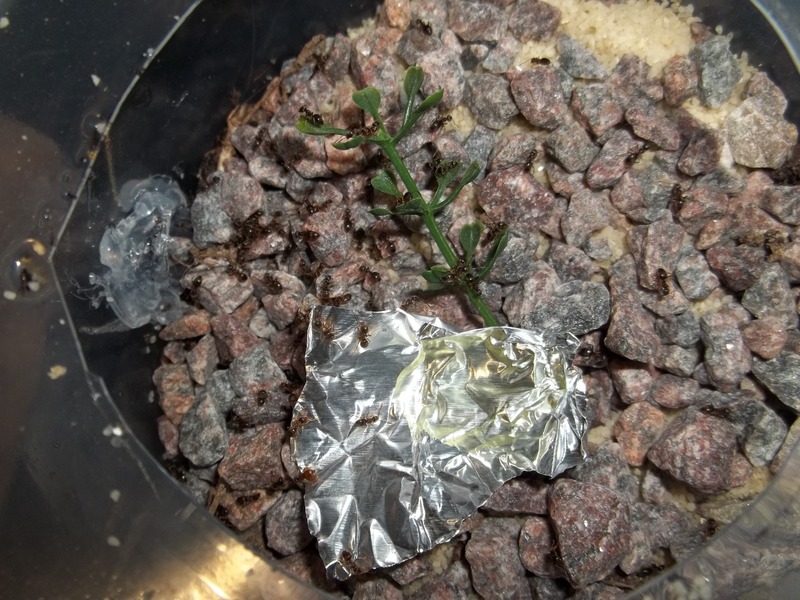 Appears the L. Alienus colony is doing well although have eaten some of the larvae it appears. I made a honey/syrup mix and they liked that. I'm thinking that some of the larvae may be queen alates just because of their size. If you zoom in you can see some larvae is significantly larger than the workers. Like I stated above, the colony is queenless. 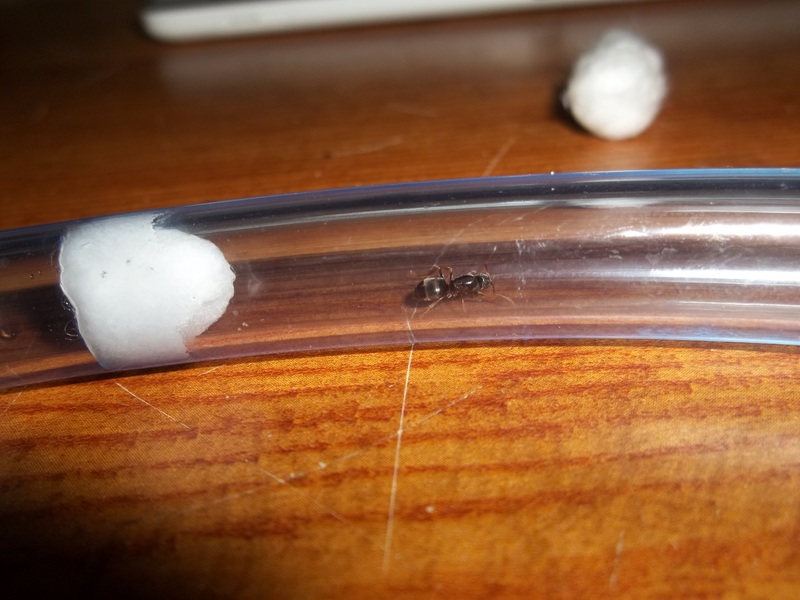 So, I got my dog and went marching into the woods and found some more lasius umbratus queens. Only took me ten minutes to find them too. Fairly abundant this time of year it seems. Also, in that short time I was looking for L. Umbratus I found a camponotous Pennsylvanicus queen while searching. She didn't have workers or brood which was unfortunate.